Glenthorne Park on the Mid North Coast of NSW is proud to announce a new stallion for 2018 in Sebring Sun, a Group I placed, stakes-winning son of Golden Slipper winner and leading sire Sebring. In the spring of 2015, the Gary Portelli trained Sebring Sun was one of the most promising three year-olds in training after winning his final start at two in late July, following an autumn campaign that saw him competitive in races such as the Group II ATC Skyline Stakes and Listed ATC Lonhro Plate. He scored a brilliant win in the Listed ATC The Rosebud over 1200 metres at his first start as a three year-old and followed with a close third in the Group III ATC Up and Coming Stakes. At his next start in the $1million Group I ATC Golden Rose over 1400 metres, Sebring Sun turned in the best run of his career when finishing third to Group I superstars Exosphere and Speak Fondly with blue-blooded Street Cry (IRE) colt Rageese in fourth place. Exosphere now stands at Darley in the Hunter Valley, while Rageese stands at one of New Zealand's leading nurseries in Windsor Park Stud, so Sebring Sun proved himself in the very best of company. Sebring Sun raced on for another season earning several more Black Type placings and retired earlier this year with earnings in excess of $320,000. He is one of 45 stakes-winners for outstanding sire Sebring, whose star performers include Australian Horse of the Year Dissident, now a highly promising young sire with his first two year-olds to race in the new season. The flagship sire at Widden Stud, Sebring stands at a fee of $66,000 and represents the Halo sireline being by Vinery Stud's evergreen champion sire more Than Ready (USA). 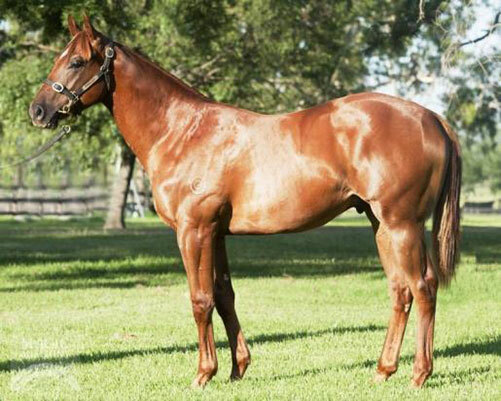 A strong and correct yearling that made $100,000 at Magic Millions when bought by Elite Thoroughbreds, Sebring Sun is the first foal of Soleil Royale, a half-sister by French Deputy (USA) to Australian bred globe-trotting Group I winning sprinter War Artist. It's a fast, winning Black Type family with a diverse mix of bloodlines offering the owner breeder a great chance to produce a serious athlete at an affordable price. Sebring Sun stands at Glenthorne Park at a fee of $3,300.